Help, my husband has decided he wants me to make him a quilt. 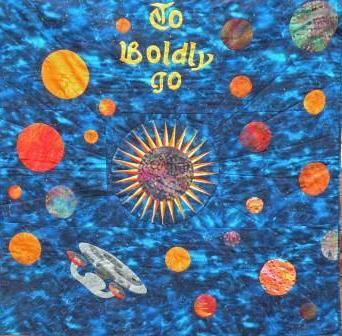 Has anyone seen, or have a Star Trek Enterprise quilt pattern? He wants a quilt with the enterprise from the original series. I have seen some Star Trek fabric at JoAnns and he thought it was just cartoonish and did not care for it. 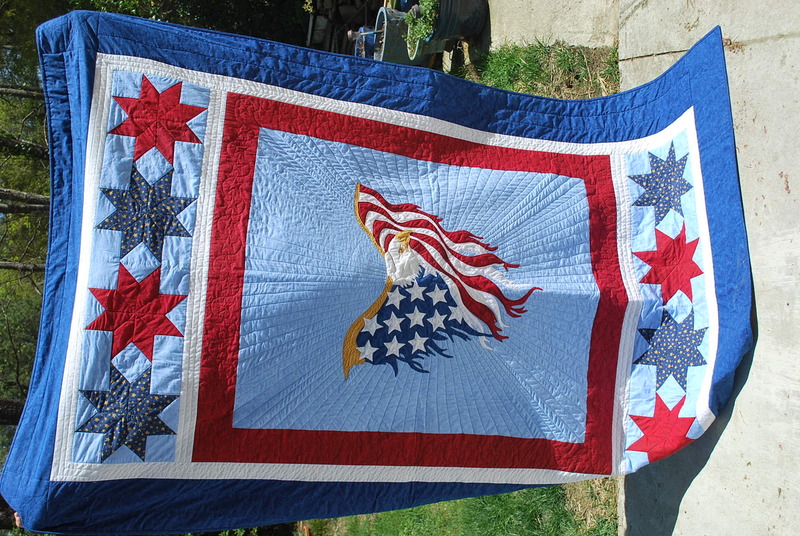 As supportive and enabling as he is with my quilting addiction, I would love to make the perfect quilt for him. Hi Jbug. I have just googled Star Trek enterprise quilt pattern. I then looked at images only. My computer is playing up loading all pictures but I saw material with space ships on, and pictures of the crews. Also some patterns not sure about there relevance to your need. Don't forget under pictures can find where they come from. I did have sorry don know the name some white fabric which had some blotches in the pattern which light up in the dark. Try Halloween fabric. Finally google images of star trek quilts or the starship enterprise and you can probably create some sort of applique of the ship yourself. Fusible web is an easy applique form and even a beginner can do it. and make a pattern from that.